Spring cleaning + lots of visitors has not left much time for sewing lately. I generally like to complete one project before moving on to something else, but lately I have been working on 5 different things and it is making me a little scatterbrained! I saw somewhere about the Umbrella Prints trimmings competition and could not resist. I have no idea what I am going to do with these beautiful little scraps, but I better think of something quick! 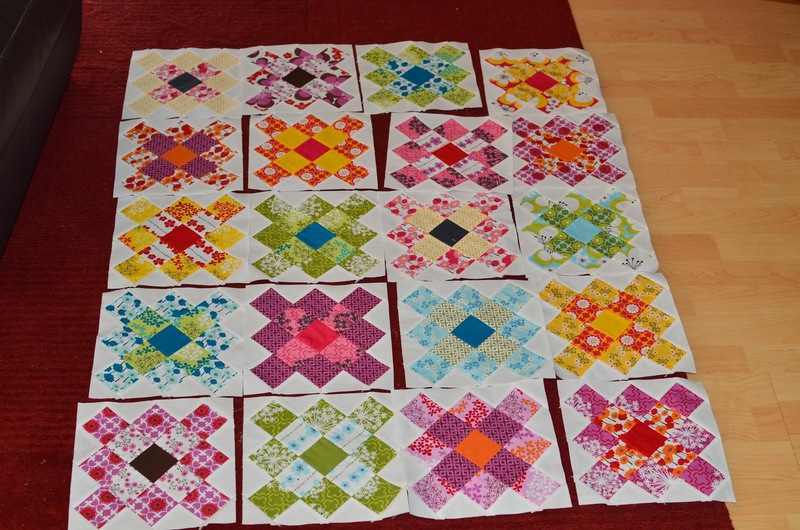 I finished my Granny Square blocks and just need to get them all sewn together. 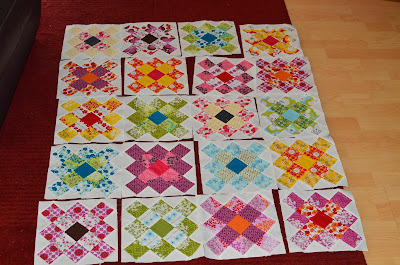 I think they are really pretty, but several of mine turned out a little wonky (oops!) so I think I should have been a little more careful. 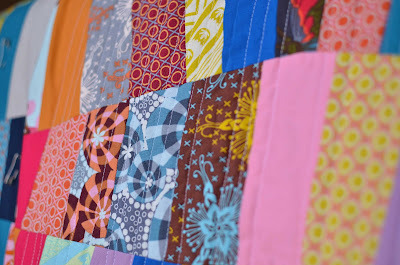 My oodalolly quilt is all quilted and I am just working on the binding now. I wasn't loving it before, but I am now. 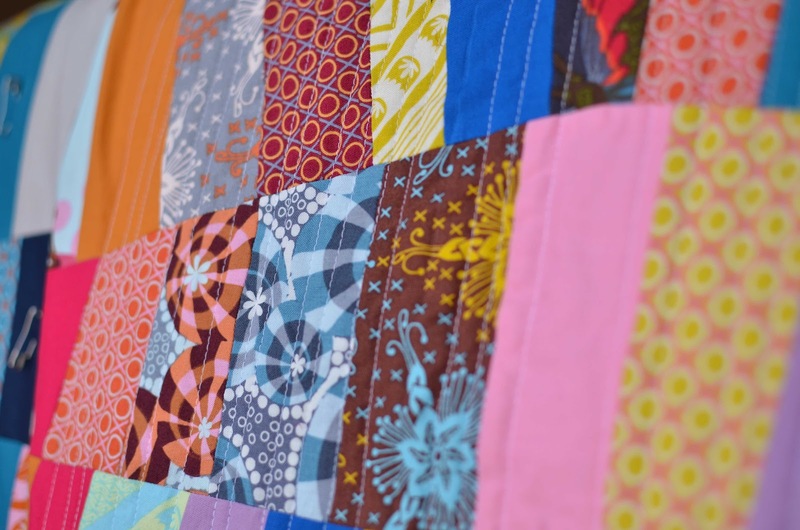 I love how quilting can totally change your feelings about something! 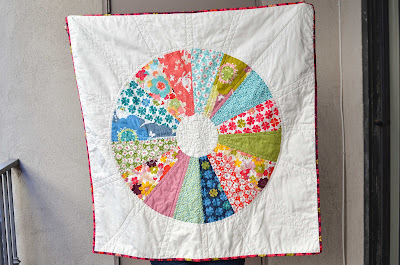 And I finished my wheel quilt, which was also part of the Curves class. I wish I had done something scrappy, but when I pulled out these pieces that were left over from my daughter's twin size quilt, they were just the perfect size. I am happy with it anyway and maybe I will just have to do another one sometime soon! I found this post via your Wheel Quilt photo on Flickr, I am a Curves Camp graduate and I'm just finishing my Wheel Quilt top. I just want to say that your projects are lovely. You and I seem to like quite a lot of the same fabrics and colours. 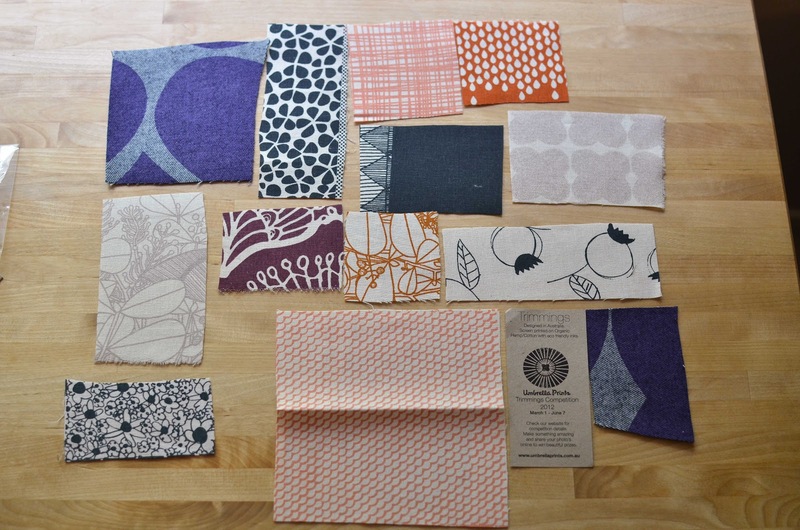 I'm looking forward to following your blog and seeing what lovely items you make. excited to see what you make from your Trimmings! no pressure!